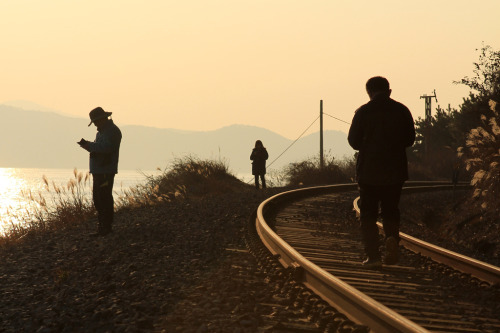 Photographic Cultural Exchange unites PCA&D students with students in Korea. Once a month, students at Kyungil University (KUI) in Daegu, South Korea, and Pennsylvania College of Art & Design in Lancaster, Pennsylvania, are asked an open-ended question that students at both institutions will then answer through photographs. The photographs on the KUI-PCAD Tumbler page are a project borne from a cultural exchange between students studying at Kyungil University and the Pennsylvania College of Art and Design. Inititiated by Professor Paul Choe, Kyungil University (KUI), and Professor Eric Weeks, PCA&D, the goal of this Tumblr Page is for the photography students from the two cultures to learn about each other through photography, while also gaining an understanding of the communicative power of the medium. The exchange blog benefits PCA&D students because they learn how images can communicate their opinions and experiences to other cultures through social media on the internet. Eric Weeks believes that the students are often surprised by how much the two cultures have in common. March's question was "Reality Only Exists In The Mind," curated by Julia Staples. Other prompts have included "One Mind" and "Hidden Meaning." The blog was started in 2011. To further the relationship, Eric Weeks will travel to Korea this sumer. He will visit the Kyungil University at the beginning of the trip and give a visiting artist lecture (like PCA&D's Atrium lectures), and meet with students and professors. Afterwards, he will travel to Jeonju with Professor Paul Choe to attend the Jeonju Photography Festival.